Venezuela’s self-declared interim president Juan Guaidó has said his family has been threatened, amid the country’s continuing political crisis. In a speech at Venezuela’s Central University, he said police had visited his family home looking for his wife. Mr Guaidó declared himself president this month and was immediately recognised by the US and several Latin American countries. Russia, China and Mexico back President Nicolás Maduro. Military support is seen as crucial to Mr Maduro’s hold on power. But Mr Guaidó says he has held secret meetings with the military to win support for ousting Mr Maduro. About three million people have fled Venezuela amid acute economic problems. “Right now, special forces were at my home asking for Fabiana,” said the opposition leader during a speech at the university. The self-proclaimed president had been speaking as part of an event outlining his broad vision for the future direction of the country. Mr Guaidó called for the “re-establishment of public services”, measures to tackle the worsening humanitarian crisis, and support for the “most vulnerable sectors” of the economy. His “Plan Venezuela” also focused on restoring oil production. “We want a child who is born in any Venezuelan state to aspire to as much as, or more, than any child who lives in Madrid, Barcelona or Bogota or in any other part of the world,” he said. Mr Guaidó earlier said he had held “clandestine meetings with members of the armed forces and the security forces”. He did not say who he had been speaking to. Venezuela’s top military representative to the US Col José Luis Silva has defected – but senior military figures in Venezuela have supported Mr Maduro. Mr Maduro told Russian news agency RIA he was prepared to hold talks with the opposition “for the good of Venezuela” but would not accept ultimatums or blackmail. He insisted he had the backing of the military, accusing deserters of conspiring to plot a coup. Many officers hold posts as ministers or other influential positions. 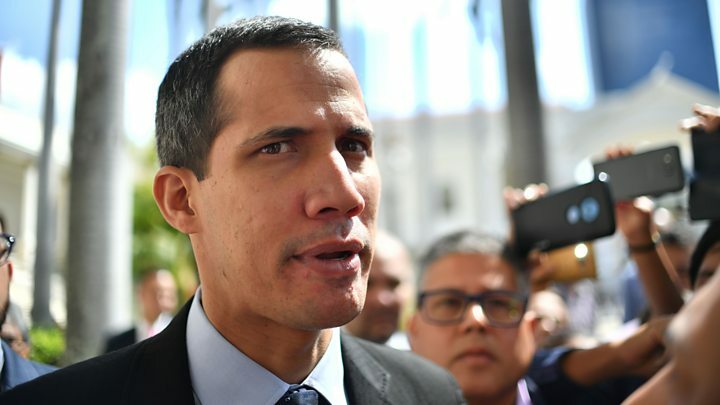 On Thursday, the European Parliament voted, in a non-binding resolution, to recognise Mr Guaidó as interim president until fresh elections can be called. The parliament has no foreign policy powers but urged the European Union and its member states to follow suit. The EU’s foreign policy chief, Federica Mogherini, said it had agreed to create a contact group with Latin American nations aimed at resolving the crisis, but had set a 90-day deadline to find a political solution. The United Nations has told Mr Guaidó that it is willing to increase humanitarian aid to the country but required the consent of Mr Maduro’s government, a spokesman said. 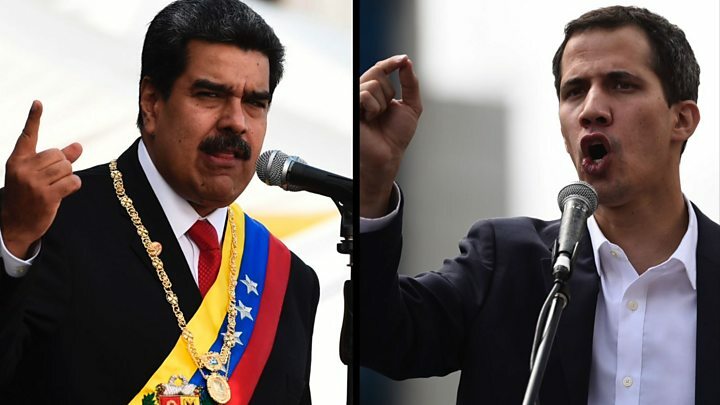 UK Foreign Secretary Jeremy Hunt is expected to urge EU nations to impose sanctions on key figures in Mr Maduro’s government on Thursday, after also speaking to Mr Guaidó on Wednesday.